Clearlake revival continues to show its strength. Thirty people wanted Jesus to give them a new life last night. I pointed out the audacity that this King. Even before he alerted his army or prepared a military reaction to the invasion, he met with the people to pray. I made a connect between then and now. Even though the army that is coming against of our nation looks quite different than the people of Ammon, Moab, and Mount Seir, the facts are the same. We are facing forces bent on attacking and dismantling of our Christian values. I made it clear that King Jehoshaphat is our example right now. We are not meeting night after night to be blessed we are in fact standing for the survival of a way of life. The America we know is about to go away forever, the lifestyle that we have known is about to leave for good. I told them that these meetings bear the same urgency as that gathering in the Old Testament story. What saved Judah was prophetic obedience and worship. They heard God say by His prophet in verses 15-17“‘Do not be afraid nor dismayed because of this great multitude, for the battle is not yours, but God’s. Tomorrow go down against them. They will surely come up by the Ascent of Ziz, and you will find them at the end of the brook before the Wilderness of Jeruel. You will not need to fight in this battle. Position yourselves, stand still and see the salvation of the Lord, who is with you, O Judah and Jerusalem! It was at this moment that I had to stop preaching because the Holy Spirit fell on the people to be healed. There were many healings but I wanted to point out two that will always be with me. The first was when I asked a man and his wife to stand. The Spirit said that he had wanted a signs and wonders ministry but that he was held back by the fact that his wife desperately needed healing. He broke when he heard these words. It was then that God identified a dozen ailments in her body and she was overcome by the accuracy and completeness of God’s word of knowledge and she was instantly and totally healed. The second one is almost too wonderful for words. A pastor who was helped to his seat by two people because he could not walk before the meeting began. I was led to him and God began to describe multiple heart attacks and strokes. It was amazing to see the Holy Spirit brood over this man and heal one part of his body after another. But then came the moment of positive proof. He took off and charged around the church walking and moving completely on his own power! Hallelujah! Stay tuned for more from Clearlake. What in war could be easier than to chase a defeated foe? After all, you have won and your enemy has lost! The fact is that many wars have been won by retreating armies. The reasons are clear to an experienced general. 1. The enemy has an inherent speed advantage. They are running for their lives! The winning army, on the other hand, has the euphoria of victory and the relief of winning. 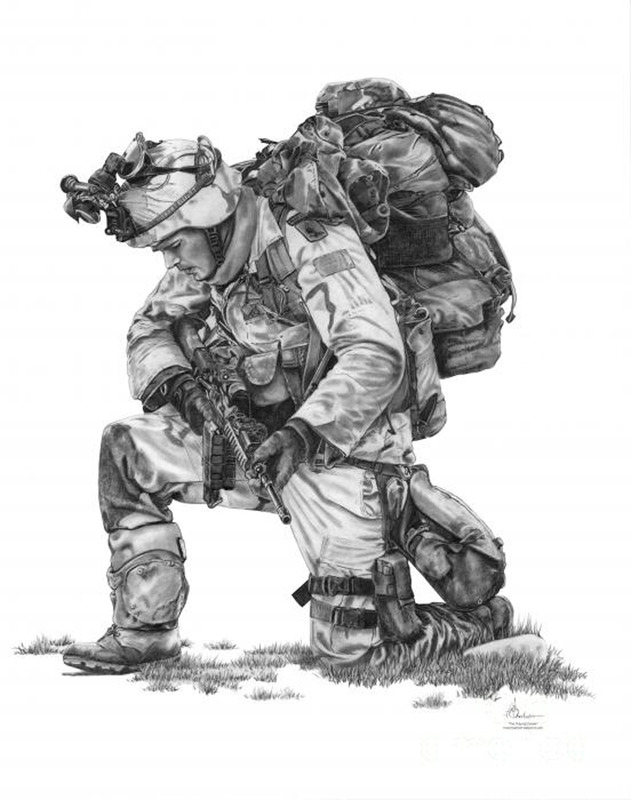 The enemy is motivated to run while the victor is motivated to stop and rest, having found a precious moment of relief. Von Clausewitz said, “Each of the thousands under his command needs food and rest, and longs for nothing so much as a few hours free of danger and fatigue. Very few men-and they are the exceptions-are able to follow and feel beyond the present moment.” 36 Finding the will to chase is difficult indeed! 1. Pursuit is a mental toughness that allows an army to disregard emotions and do what must be done even after they believe they have won. 2. Pursuit is swiftness that can outrun a retreating army and persevere for as long as it takes. Pursuit is an inner determination to settle for nothing less than absolute victory. For troops to possess this quality, they are trained and drilled repeatedly. There must exist a profound reverence and trust for their general. This is because he necessarily presses them to extreme limits of body and mind. The general in pursuit is casting his men into unknown danger! The retreating forces may have set traps, blown up bridges, and destroyed roads. Multiple distractions will try to ruin the swift pace. A good general will indelibly mark his men with the importance of pursuit. He will pound that urgency into them. Breakthrough is not a victory: it is only a greater opportunity for victory. The good general will use his army’s hatred of war as fuel to gain final victory. He will remind his men that if the retreaters get away, they will have to go through all of this again! God endows his warriors with a much deeper version of the principle of pursuit. I call this secret divine dissatisfaction. Possibly the most divinely dissatisfied man in history was Moses. He never quit pursuing the glory of God. He also never quit in battle. Because he handled warfare so well, we will study a classic episode of his life. 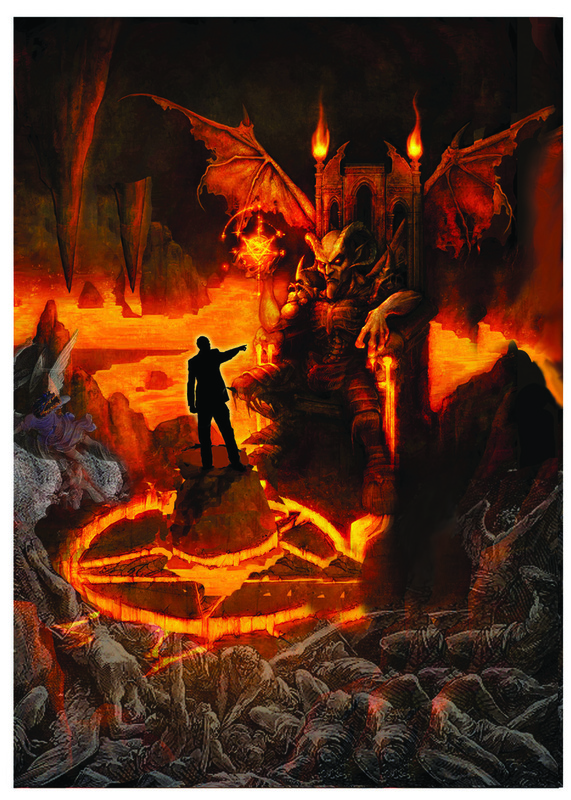 This encounter will reveal the three ways that Satan assaults our quest for final victory. Satan attacks right after victory. Moses faced this at a place called Rephidim. We read about it in Exodus 17. The miracle of the water from the rock had just happened. Then Satan stirred up the Arnalekites to steal the water. Moses was not so satisfied with this miracle that he would let down his guard. He instantly ordered Joshua to get the army ready: “And Moses said to Joshua, Choose us some men and, … go out, fight with Amalek . . . [Exodus 17:9a]. The Devil throws distractions to slow your pursuit. Moses was not fooled by the Evil One’s frontal attack. In fact, he headed in the opposite direction. He was practicing pursuit. He ignored the battle in front of him and. instead, raced to cut off the enemy’s supply. The Amalekites were controlled by the demonic, and Moses knew it! He looked for elevation to raise the rod of God over the battle. He took his stand in the heavenlies! Amalek began to feel the sting of defeat. The raised rod of God disrupted the Amalekites! Beelzebub flatters you with pride and reputation in an effort to destroy you with false satisfaction. But then, Moses’s arms tired and weakened. The battle ebbed and flowed as the rod rose and fell. Lucifer tried to make the effort seem futile, but Moses refused to quit. Aaron and Hur sat Moses on a rock and upheld his arms. Moses would not let himself become a legend who needed no help. He freely accepted Aaron’s and Hur’s reinforcement. Amalek was defeated! Moses cut off their retreat! The divinely dissatisfied one never totally rejoices in victory. This is not just because he suspects attack, but because he is simply hungry for more. This is not ingratitude, but an insatiable desire to glorify God. Not only does this kind of warrior refuse to “rest on his laurels,” he buries them in the ground! To him, past achievement is a seed planted from which will grow a new exploit. Satan wants to use your last victory against you. He will try a shock attack, hoping that in your celebrating you will have let your guard down. He will try the paralyzing influence of reputation. He surrounds you with the “praises of men” so that your hunger and edge are dulled. You loosen your grip on excellence. Most of all, a victory-hungry warrior is not fooled into thinking that a miracle includes some big buffer of time against return fire. Again, Moses did not try to analyze the theological implications of getting miracle water one moment and an assault the next. He was ready! Like Moses. we are not to attack the circumstance in front of us, but we are to take our position in the heavenlies in order to cut off Lucifer’s supply. Divine dissatisfaction is a quality we have sorely needed in Christian leaders. We have paid dearly for its absence. Here is where the real cost has been – in sustained revival! We have had many revivals. Getting revival is not the hard part, it is keeping revival pure and effective. How soon revival leaders lose their hunger and their fight! They are so easily derailed into either emotional binges or the cooling influence of respectability. After victory, there is so little of that hungry pursuit that demands balance and fire. The pursuit should be the heart of the revival. “And he said. ‘Open the east window’; and he opened it. Then Elisha said, ‘Shoot’; and he shot. And he said, ‘The arrow of the Lord’s deliverance and the arrow of deliverance from Syria; for you must strike the Syrians at Aphek till you have destroyed them”” [II Kings 13:17]. Here Joash is promised victory. But, he must beat the ground in pursuit of total destruction of the enemy: “Then he said, ‘Take the arrows’; so he took them. And he said to the king of Israel, ‘Strike the ground’; so he struck three times, and stopped. And the man of God was angry with him, and said, “You should have struck five or six times; then you would have struck Syria till you had destroyed it! But now you will strike Syria only three times.”[II kings 13:18-19]. Joash beat the Syrians three times, but he did not pursue them and cut off their threat. They later regrouped and returned to destroy. Jesus was walking on the water. Peter had to try it! Jesus gave him permission. Peter started out, but soon began to sink. Jesus asked Peter why he doubted. Later in Peter’s life, he would face this fear and become truly, divinely dissatisfied. He won this inner war at the Gate Beautiful. Everyday Peter passed the lame man, and everyday he made sure he had money to give to him. The war for the man’s healing had been fought and won, but God needed a pursuer. Peter’s heart was filled with turmoil. Jesus had told him he would die a martyr. This hung over Peter like a cloud. Peter knew well that his Master was persecuted for healing the sick. It was the prospect of persecution and death that froze Peter from going to the next level of power! Not only that, but he had just seen the miracle harvest of Pentecost. Once again, his spirit said, “That’s enough.” But then the Holy Spirit touched him with a restless hunger for more. This fire within increased the pain of his compromise. The pain grew and grew until that wonderful day when the pain of staying average was far greater than his fear of danger. That morning, he refused to carry money to the temple because he was carrying something better. He cast a mighty gaze on the paralyzed man and roared, “Silver and gold I do not have, but what I do have I give you: In the name of Jesus Christ of Nazareth, rise up and walk” [Acts 3:6]. All through my letters, I have told you about what the church and its warriors lack. I have tried to instruct you to leave the foolishness of religion and take up the life you were meant to have. I have told you to take up the armor, to be filled with the Spirit, and to possess all of the good gifts of God. Now, for once, I am saying that I want you to lack something, to be so devoid of it that you never recover from your need of it! You should always desperately desire greater victories. I want you to never be satisfied. I want you to be divinely dissatisfied! Today some deep questions are churning in my spirit. What does this event in Clearlake really mean? Going forward how do we keep it healthy and strong? It is human nature to exaggerate on one hand and to oversimplify on the other. As I prayed and meditated on the whole thing some answers came that help me to convey accurately what it means and what God requires of us. These answers are so important I believe that it will forge our endeavors from this point on. 1. Keep man’s hand off of the moving of God’s Spirit. That seems to be obvious but the “hand” of man moves in many subtle ways. Constant vigilance is required to keep this from ruining the work that is so precious. The temptation to use revival for personal gain can be overwhelming to groups who have labored long and hard for results. Churches and evangelists can feel the urge to cash in on the sudden results. To keep man’s hand off of the flow requires discernment about the nature of true revival. Revival is at once mighty and fragile. This fact is both wonderful and baffling. We see a vivid example of this in the Christmas story. Why would angels, who possess awesome power, run around warning humans of danger? Joseph and Mary had to follow God’s exact instructions to preserve the life of the Son of God? This tells us that we have a part in the revival and that God has a part in the revival. We must stay out of those holy things that God does Himself. We must confine our efforts to His instructions for us and follow them to the letter. 3. Bringing people who are lost and sick to the meetings. One unintended consequence of letting a revival meeting become sensational is that it also becomes selfish. Soon the meetings are exclusive to those who are already converted and are merely indulging in emotional experiences. 4. The Big Picture. Reports are coming from many quarters that fires of revival are breaking out. Nationally, we are hearing of many churches that are now in apparent visitation. Not only this but there are reports of revival coming from many parts of Northern California! This tells us that every leader worth their salt must contend for a true flow of God and learn the urgency of wisdom to maintain the momentum of God in revival. Amen! Pray for revival to overtake our nation and the world! P.S. 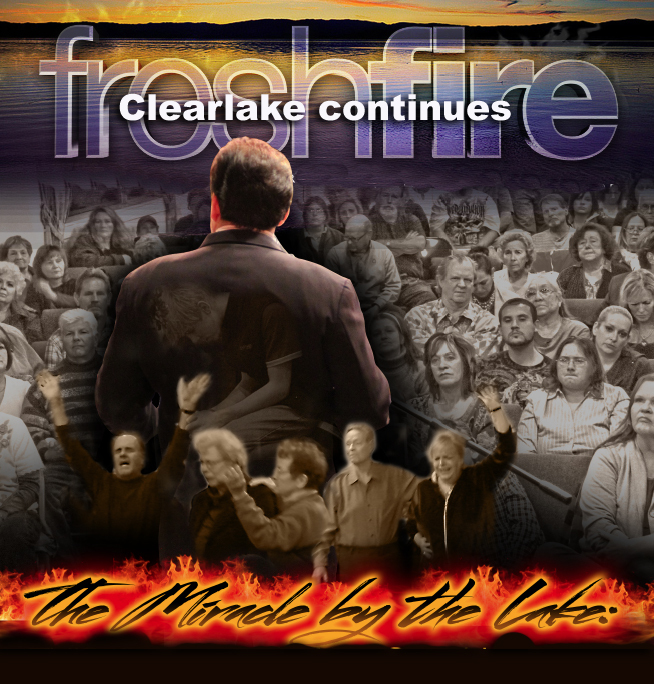 The meetings continue at Clearlake First Assembly Friday Night at 7PM Saturday Night at 6PM and Sunday at 8:30AM/10:30AM. Dream House has its regular Friday Night at 7:15PM with Joseph Olberg and I will be at our Healing Rally Sunday at 5PM at Dream House. When you think of dumanis you probably picture the raw power of God. After all, the word dynamite comes from the word dunamis. But dunamis is not the raw power of God: that would be the steel punch discussed in Secret #3. Dunamis is a very specialized and unique expression of power, so unique in fact, that I do not want you to relate to it as “the next secret,” but as something that permeates all the other secrets. Before I define dunamis for you, I must show you, yet again, the physical principle of war that corresponds to dunamis. It is called economy of force. The soldiers do not know why they are fighting. They fight sluggishly and inconsistently. They are confused in purpose and cannot act as a unit. War is extended unnecessarily and wastes lives and resources. The soldiers do not have the will to attack. They are on the battlefield but they don’t fire their weapons. This literally happened on D-Day at Omaha Beach during World War II “Only five infantry companies [on Omaha Beach, June 6, 1944] were tactically effective. In these companies, one-fifth of the men fired their weapons during the day-long advance from the water’s edge to the first row of villages – total of not more than 450 men firing consistently.” 35 Had all of the men fired their weapons, the battle would have been decided quickly and with far less loss of life. The army is gathered at non-decisive points. Barracks are fine for training, but warriors must be taken to the front to attack the enemy. If not, it is a total waste of resources. The army is too slow to get to a decisive point which allows the enemy to arrive first. The slow battalion is always tired and in danger. Swiftness economizes every resource of an army, especially time. Internal strife and division breaches security and prevents protection. Valuable resources meant for attack are used up in the camp, and delayed attacks deleteriously affect morale. Muddled information eliminates the ability to prepare for a surprise attack. Again, delay damages you by letting the enemy “shape you” so that no surprise is possible. They know where you are going and how big you are! Because branches of the fighting force won’t work together, attacks lack momentum and magnitude. They extend battles by exposing soldiers to overwhelming forces. New weapons are not tried because of bias. Commanders. who are jealous of each other, won’t try them. There is no massive, focused, versatile assault. Here is the ultimate abuse of resources! When the enemy cuts off the supply line, that causes the ultimate waste. Not only have resources been lost, they become reinforcements for the enemy. Surely you can see how economy of force is central to victory in physical war. How much more, then, is dunamis a force for us to use against Lucifer. We have wasted more resources than any army in history! Without a doubt, Satan has cherished our ignorance of effective and efficient warfare. Dunamis is a creative force of undiluted effectiveness. Dunamis is a power that blends the wisdom of the Holy Spirit, the power of the resurrection, and the grace of God into a cunning for total victory – the dynamite of God that renders us effective. Let’s look at Gideon once again. This time notice the impulse of dunamis. From the moment that Gideon obeyed God in preparing an attack against the Midianites, dunamis guided him. How? 1. He cut out all activities that did not relate to the giant why of his life. 2. He reduced the army in number until only the conative core was left. 3. He blended tactics into a maximized whole. With divine skill, he orchestrated pitchers to break, trumpets to blast, and soldiers to shout the victory! No human training could have given Gideon this talent. A brilliant military career could not endow an officer with Gideon’s surgical accuracy of attack. Noah was infused with skills that still give pause today. He built something that had never been seen before. He did not have the privilege granted to most inventors of starting with a prototype. Have you ever heard of an invention where the first rendering worked perfectly? Never mind its mathematically perfect proportions or the miracle of the placement of the animals. What boggles the mind was the structural integrity of the ark. What Noah constructed withstood a global catastrophe with the most violent wind and waves ever known. Summon today’s most respected shipbuilders, arm them with leading edge computer technology, and they could not, in a thousand tries, create with gopher wood what one man did with his hands under the impulse of dunamis. How many people today boast about the information age! Thousands of years before these roosters crowed, Solomon prayed for dunamis. Solomon asked for the gift to rule the people of God. Soon gracious words of insight flowed like a river. The world came to Jerusalem to drink deeply of his godly counsel. “Therefore if the whole church comes together in one place, and all speak with tongues, and there come in those who are uninformed or unbelievers, will they not say that you are out of your mind? But if all prophesy, and an unbeliever or an uninformed person comes in, he is convinced by all, he is convicted by all. And thus the secrets of his heart are revealed; and so, falling down on his face, he will worship God and report that God is truly among you” [I Corinthians 14:23-25]. Paul called the question. He is asking, in effect, “What kind of gatherings do you want?” Gatherings where onlookers leave disgusted and thinking you are insane, or a manifestation of prophetic persuasiveness where onlookers collapse before the truth and admit the reality of God? Do we want selfish supernaturalism that gratifies our emotions, but totally confuses the outsider? It is dunamis that arms us with the skill to rightly express the miraculous gifts of God. To separate love and knowledge. To separate miracles and order. To separate joy and holiness. To separate teaching and soul winning. Lucifer poisons the church with pride so that factions become fiercely loyal to a single ingredient. These people refuse to appreciate their missing component. Satan works unceasingly to keep gifts and weapons separated when, in union, they would cause him great harm. 2. Satan has kept us concentrated at points that are not decisive. We are in church preaching the gospel to each other. Since we are not deployed to assault the Devil, we eventually attack one another. Dunamis is skill on fire and wisdom at war. But it imparts so much more than this. It refuses to waste force and will send the church to centers of evil! As I said earlier, leaders who are in denial invent pseudo-victories to busy the army of God and keep them in the barracks after their training is complete. Look around you. You will see churches and Christians organizations that are really good at one thing, but it doesn’t matter. All of that talent is wasted if it is not connected to the gifts of other churches and is not expressed at decisive points. Dunamis will not tolerate this condition for a single moment. It will marshall all of the detached units. It will blend all the weapons and will apply whatever pressure is needed to get the army to a meaningful target. But dunamis is still more . . .
Jesus said. “You shall receive ∂üvauis (dunamis) and be a witness” [Acts 1:8]. He is saying so much more than we know! A true witness is armed with skills to decode a culture and sense the vacuum of a generation. The person speaks the precise words in the precise way that renders the hearer defenseless before the love of God. Luke 21:15 describes pure dunamis: “For I will give you a mouth and wisdom which all your adversaries will not be able to contradict or resist.” Isaiah echoes this same gift: “The Lord God has given Me the tongue of the learned, that I should know how to speak a word in season to him who is weary. He awakens Me morning by morning. He awakens My ear to hear as the learned” [Isaiah 50:4]. Pentecost is misunderstood! We miss the true significance of that day! Yes, there was wind and fire and the wondrous arrival of the Holy Spirit, but above all, there was a witness! All twelve secrets came together in a pulverizing moment of impact that made Jerusalem ground zero for Satan. It was not just a matter that onlookers were stunned that the 120 could suddenly speak their languages: it was the irresistible power of what they were saying. It was a direct message from the heart of God to the now unprotected hearts of the people. Fifteen thousand people met the Master in a moment! This phenomenon is hated the most by Satan. It is the extreme antithesis of what he tries to do. Just as war fills Hell, so does dunamis populate Heaven with a myriad of souls! In Their own words: the latest from Clearlake. This latest blog “In their own words.” Includes the events of last night in Clearlake. I got a text at 4:12 PM that 40 people were already standing in line to get in for 7PM service. For one man, it was his 4th try. He got in and was born again! One man with a large hernia reported that his stomach suddenly went flat and he felt no more pain. But the reports get even more amazing. My name is Maggie. I attended the service at Clearlake First Assembly last night, and I was one of the 10 women to be healed of the pain in my abdomen area. I stood up and you said, “there are a couple of women who additionally are being attacked in their sleep and also in their breathing.” You ministered to me directly and said that “the enemy has been attacking me because I am about to embark on something.” You also said that “satan only attacks those he fears.” ” Satan will not succeed,” you said. Everything you said is true. 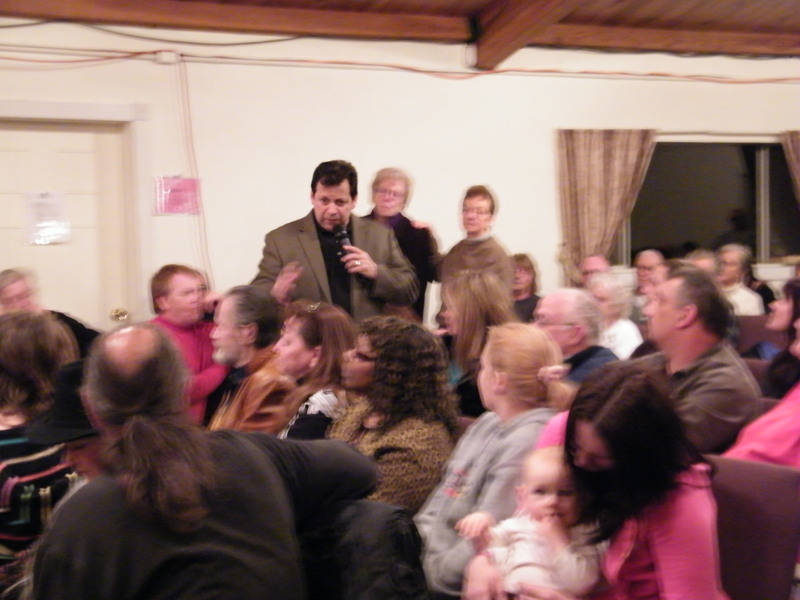 I have attended two revival services, and I am so glad to be under the Prophetic Ministry again. It has been quite dry in Clearlake for a very long time. As you said, “People have written the people of Clearlake off, but God likes to show up and show out in small towns like ours to be a witness for the nations. In addition you said, ” that I was being attacked because I have been studying in the area of Authority.” “This is true also, and has been a strong suit of mine along with the gift of Faith.” I look forward to seeing how God will be using me in the days, weeks, and months ahead for His Glory. 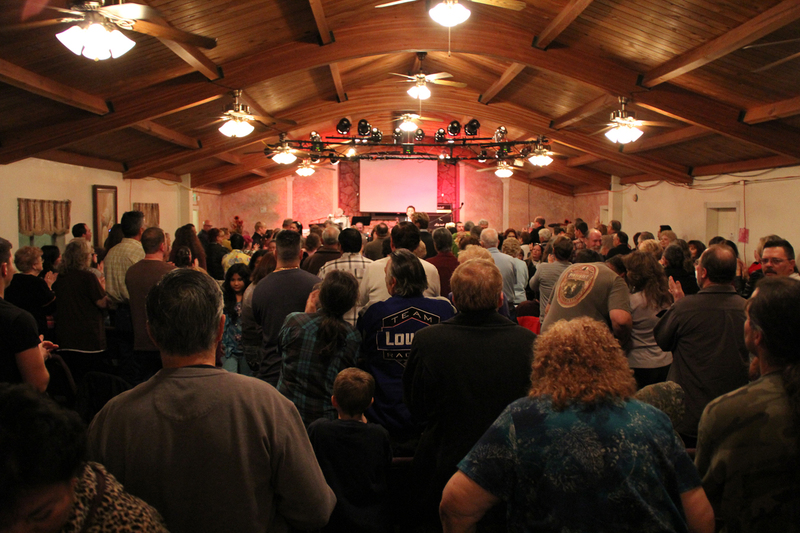 See you on Sunday night and Monday night also at Clearlake First Assembly in Clearlake, CA. Miracle of oppression, anger, unforgiveness, fear lifted. “I will celebrate my 20th birthday in the Lord in just a few days. For 20 years I have been sowing words, testimonies and love into emy unsaved mom and stepdad’s life. As my step-dad’s health took a turn for the worse, there was a crack in the door of their hearts toward God. They began to be open for prayer, for the hope of Jesus, as my church and others began to stand around them in prayer. Still, given the previous 20 years and my Step-Fathers fragile health, It was against tremendous odds that they would travel from Lakeport to Clearlake to go to a church when only 1 time out of the 20 years did they travel the 2 miles to mine. I have no idea what to expect tonight except that each night the glory has intensified. Stay tuned. A weak prayer life will make you feel more guilty than anything else. One reason for this is that you know how crucial prayer is to everything you do. As believers, we are continually drilled about the preeminence of prayer. Let us examine a typical morning in your life. You wake up frantically. You are in a race. The slightest misstep will put you perilously behind schedule. As you are about to blast out the door, you feel an overwhelming shame that you have not prayed. Is this Holy Ghost conviction? Most likely it is a very subtle, but debilitating, assault from Satan. This attack is comparable to a common mistake made by moms and dads. Their child has just behaved foolishly. Out of exasperation, one of the parents snaps at the youngster, “How could you do something so stupid!” This comment was meant to teach the child to think before they act. The actual result, however, is just the opposite. The child feels embarrassed, ashamed, and yes, stupid. If all this damage to the child’s esteem was done by accident, imagine, then, what shame can be like in the hands of Satan who is purposing to destroy you! The voice that is assaulting you as you walk out the door in the morning is not trying to get you to pray, but to feel ashamed; so ashamed, in fact, that you won’t enter God’s presence, and you will postpone prayer indefinitely. Hear me, Warrior: Satan can be more dangerous barking at us to do what is right than he can when he tempts us to do what is wrong. Of course. the answer is not to feel exempt from prayer just because we have uncovered his devilish plot! No, it is just the opposite. We are now alert to the fact that Lucifer is trying to destroy our prayer life. The key is to distinguish between the voice of the Holy Spirit and the voice of the Evil One. There is a classic difference between the two. The Holy Spirit provokes prayer from within, not with an angry tone, but by warming the heart and making us lonesome to be with God. Jesus called the Holy Spirit “The Helper.” Beware, then, of inner urgings that seem right but don’t help you. It is the impulse of the Spirit of the Lord to “fan into flame” any spark of God that is within us. 1. I have gone a long time without prayer. I dread the anger of the Lord I will feel once I finally do pray. The most amazing experience of your life will be when you see how glad God is to hear from you. There will be no mention of the separation, except that He missed you. 2. I must wait until I have time to pray for hours. Some may deem my next remark as unspiritual. It is not as important to the Holy Spirit how long you pray as how often you pray. You can begin with five minutes a day. Do not be afraid to start small. 3. I truly have no time to pray. While some would never believe that remark, for many people, it is totally true. They need to see the power prayer has to create time. It liberates time. Prayer replaces all the time it uses and gives back so much more. Here is how: (a) There are many things you do that take much longer than they should because you are not refreshed, alert, and strong, and (b) there are many thieves of your time you cannot see except through the eye of prayer. When you face the fear of interrupting your routine and steal off to meet the Master, a divine order will dispose the chaos in your life. You will be free at last. Prayer will then become addictive! Soon you will be ready to make the quantum leap from a prayer life to a life of prayer. The Old Testament showcases men and women who were granted extraordinary intimacy with God. The Bible says that Moses knew God face to face: “So the Lord spoke to Moses face to face, as a man speaks to his friend [Exodus 33:11]. This strange and wondrous friendship grew to harness history itself! Daniel 11:32 says: “But the people who know their God .. will be strong and carry out great exploits. Daniel knew that at the end of the age there would be people who would experience a rare intimacy with God and would do greater things than had ever been done before. This intimacy is provided by the righteousness of Jesus Christ and is credited to every believer by the faith that Jesus imparts. So righteous is this impartation that we are granted audience at the throne of God which exceeds what God gave to Moses! Lines of communication. then, are all the routes, whether by land, air, or sea that connect an operating military force with its base of operation. All of their supplies and reinforcements move along these routes. Napoleon said, “An army marches on its stomach.” How well he knew that! Twice he lost major wars because his supply lines were disrupted. On those occasions he had violated his lines of communication. 1. He must secure his lines of communication or the enemy will cut off his supply routes. 2. He must not outrun his own supply line. Even if he wins a battle, his resources will be depleted and will likely allow his opponent to regroup in a counteroffensive. Effective supply lines give an army significant advantages: (a) they allow it to continuously advance, and (b) the army arrives at its goal with strength and reserve. This guarantees victory because it is a double dose of morale for the soldiers. They feel excited because they are on the move. taking enemy territory, and they are not cold, hungry, or low on ammunition. Many immediate comparisons can be made to God’s army. 1. We must not allow our supply line to be disrupted. Our Supplier is the Holy Spirit. We remain constant in prayer because the warfare is intense and dependence on God is more essential than ever before. Natural armies experience overextension because their supply lines cannot keep up, but with Christians, it may be because God will not keep up. The provision of the Lord is for the vision of the Lord. There is no room for human counsel or pet projects on the front line of our war! Our program must be for the pleasure of the Lord. Jesus did what He saw His father doing. ‘. . . My Father has been working until now, and I have been working” [John 5:17]. His communion with His Father was His line of communication! This was His supply line to keep moving and taking new ground. But there is still more! Communion has three very amazing features. “And he gave unto Moses, when he had made an end of communing with him upon mount Sinai, two tables of testimony, tables of stone, written with the finger of God” [Exodus 31:18 KJV]. Before Moses could receive the commandments, God insisted on communion! It is hard to relate this mystery. What did Moses and God do for those forty days? The answer strikes at the heart of why God made us – to commune with Him. Just as God had intimate walks with Adam in the cool of the evening, now Moses experienced that same intimacy. The demands of the Lord grow out of a relationship. Until we behold the wonder of His glory, love, and goodness, we cannot see the power and rightness of God’s principles. David said, “Open my eyes, that I may see wondrous things from your law” [Psalm 119:18]. Religion is, in essence, rules without relationship. Ask a child the difference it makes in their ability to learn when they love their teacher! But even Moses could not enjoy full intimacy with God. Fullness of intimacy came when Jesus offered it to the disciples. This kind of intimacy had not been seen since the Garden of Eden. “No longer do I call you servants, for a servant does not know what his master is doing: but I have called you friends, for all things that I heard from My Father I have made known to you” [John 15:15]. Everything we do for God must be the secondary result of an eternal bond. The next verse is a prelude to what grows out of communion: “You did not choose Me. but I chose you and appointed you that you should go and bear fruit, and that your fruit should remain, that whatever you ask the Father in My name He may give you” [John 15:16]. 2. Communion is Provision. Anyone who has walked with the Lord in intimacy will tell you that God makes big demands and gives big rewards. There is an unalterable fact about our Master: He provides more than enough for His purposes. Earthly armies have to wait for supplies. We don’t, because our provision from God is instant, open, and abundant. Remember, I told you how high it makes the morale of soldiers climb when they penetrate enemy ground and are well equipped. Our morale can be infinitely greater! First, we plunge into an eternal love bond with Jehovah. This gives us unbroken intimacy. Next, we go out freely to press the assault, knowing clearly that our great cause is born of God. Our supply line will continually overtake us! Here is Paul’s proclamation of communion provision: “. . . that He would grant you, according to the riches of His glory, to be strengthened with might through His Spirit in the inner man, that Christ may dwell in your hearts through faith; that you, being rooted and grounded in love, may be able to comprehend with all the saints what is the width and length and depth and height – to know the love of Christ which passes knowledge; that you may be filled with all the fullness of God” [Ephesians 3:16-19]. Once in a great while someone will pray a fervent and availing prayer. In fact, this prayer is so effectual that it crosses the veil and permits the petitioner to peer into heaven. The person praying catches a glimpse of Jesus in intercession. This is both glorious and painful at the same time. The petitioner rejoices at the revelation, but is cut to the heart by how much higher and purer the intercession of Jesus is than his own. Our best prayer can still be cluttered with self-interest. Too often we are jockeying in prayer to find a short-cut out of failure. Then there are the prayers asking for relief from crisis without appreciating the deeper intention of the trial. Daniel could have easily justified a panic prayer time. He had been kidnapped and taken to Babylon. Daniel’s future plans had been cut off. He prayed and looked into heaven. There he saw and understood that God had business for him in Babylon. Daniel replaced his own prayer with heaven’s prayer. For some reason we cannot accept the fact that God will not act on Man’s behalf outside of prayer. There is a continual, divine quest for someone to stand in the gap, and with an all consuming passion, pray the prayers that have been orphaned by our neglect. It is as if Jesus is saying, “Here, take this prayer and nurture it to fruition”. Every great revival can be traced to an astonishing gushing out of unselfish prayer, prayer that found its beginning in God. Now can you understand the kind of soldier these three elements would create? A warrior, who is eternally bonded in love with his God, marches forward, never letting up on the attack. He draws on a never-ending supply of all that he needs for victory. He prays down the very power of heaven without limitation because his heart reflects the passion of his God. Tell me, then. can you imagine anything that can terrify Satan more than a warrior in communion with God? The best night yet in Clearlake here is the latest report. Once again the house was filled well before start time. The air crackled with faith. The worship was deeper than ever and the overflow crowd did not care about how cramped it felt in there. There is no doubt in my mind that these people would have stayed all night if we had allowed them to. Using 2 Kings 4: 1-7 A certain woman of the wives of the sons of the prophets cried out to Elisha, saying, “Your servant my husband is dead, and you know that your servant feared the LORD. And the creditor is coming to take my two sons to be his slaves. 2 So Elisha said to her, “What shall I do for you? Tell me, what do you have in the house?” And she said, “Your maidservant has nothing in the house but a jar of oil.” What I said to the audience filled with seekers wanting God was simple. We heard a tragic report for Gilroy of a soldier who shot and killed his whole family and then turned the gun on himself. Who can say why he did it but we can guess that despair was a big factor. This woman faced despair but what a difference in her reaction! She took her crisis to the man of God. I said to the audience you can panic and feel hopeless or you can take you emergency to Christ. 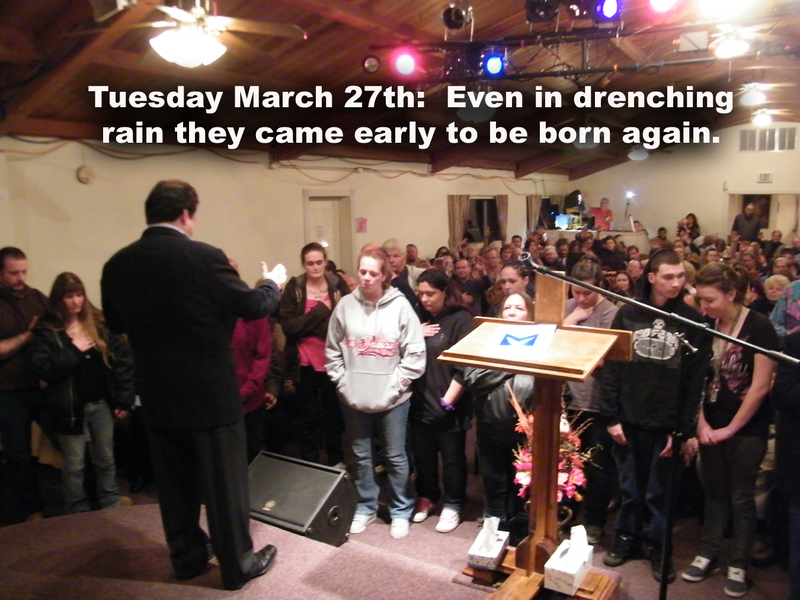 It amazed me that that was all it took for nearly 40 souls to invade the front of the church to be born again! Then the miracles began. Healings popped all over the room. The Holy Spirit was identifying miracles almost like a machine gun. I struggled to keep up with the flow of knowledge. I share this with fear because I am so unworthy to be any part of this great miracle. Pain vanished in one person after another. One partially crippled lady stood before me and heard the Spirit of God tell her every detain of her condition. It was stunning to watch the pain and stiffness leave in one section of her body to another until she could move and walk freely all over the front of the church. I asked another lady to stand and began ministering to her in Spanish. After I told her all of her symptoms, I finished by saying “it is diabetes.” She broke and the many in audience who knew her and her conditions let out a roar of praise. Another young lady was picked from the audience and the clarity of how much God knew the exact details of her condition literally frightened her and her mom let out a shriek! Her was a young girl that was told by the Spirit about every area of her body that was damaged, including how the pain medication that she was taking had damaged her intestines. The power was strong enough to take out a section of people. She was completely and utterly healed. Men were touched who had everything from cancer to kidney stones. One final mass healing prayer near the end filled the room with even more miracles. And still I feel that the best is yet to come. I told the audience we had to go after the people around the lake that no one else wants! We announced one more service tomorrow night. I said go get them! I looked in their eyes and I knew that many lost souls are coming tonight (Monday Night) for salvation. The revival fires are burning brighter than ever. Stay tuned!